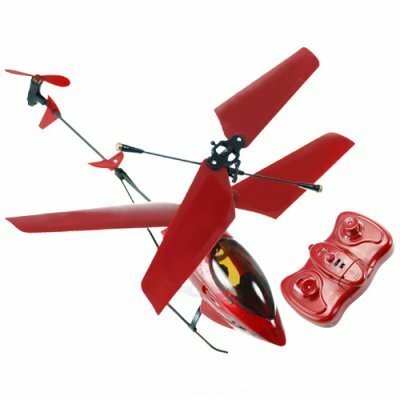 Successfully Added Micro Helicopter with IR Remote Control to your Shopping Cart. Radio controlled micro helicopter with a handheld 3-channel remote. This lightweight helicopter has tough but pliable rotors made of carbon fiber, therefore able to hold up to active usage and the occasional minor hard landing. The remote controller allows the helicopter to be flown and landed, hover in midair, and turn left or right. There is also a stabilizer bar on the helicopter that is controlled by the remote, so you can trim the helicopters flight and prevent flips and spins. Small,cheap,and great fun for childrens and adults!! !